Following an excellent trip in India, I started off on my return flight to the US. I got to Mumbai Airport around 22:20 (10:20pm) for my flight to Munich at 01:07. Right now Mumbai Airport is in a bit of a transition phase as they construct the new integrated terminal so I suppose this is forgiveable, but the ground-side experience at Mumbai’s Terminal 2 is just plain awful right now. Call it a lack of CISF personnel or a lack of planning, but all passengers are funnelled in to just two doors, and at peak times for international departures, 9pm onwards, the lines can extend up to 30 minutes long, and it’s a humongous bottleneck that the team at Mumbai airport must look in to on top priority. Once you get into the terminal, it gets a little bit better but not much. In my case, Lufthansa’s local station manager came over and showed me to the first class check in line. Checking in was a breeze, and I headed over to the second bottleneck at Mumbai Airport, the immigration line. Now I’ll hope against hope that this issue will be fixed once the new integrated terminal comes up, but based on experiences of passengers at T3 in New Delhi, there are just not enough immigration counters or personnel to serve the peak demand both inbound and outbound. Wait times for the premium classes are 20~30 minutes and economy class from 45~60 minutes. I understand why most travellers from India are loathe to connect from domestic to international at hubs, especially Mumbai. From this bottleneck, you are immediately funnelled into the next bottleneck — the security check. Another 30 minutes, again thanks to a lack of adequate personnel. A lack of adequate English language knowledge and both the CISF end and many foreign non-English speaking passengers adds to the delays. These are issues the Ministry of Civil Aviation must address if they intend to succeed at hubs and improve tourism. The CISF too needs to explain why is it cannot provide adequate personnel and rendering such a poor service when it receives at least Rs. 130 per departing passenger. I immediately headed to the Lufthansa Business Lounge opposite Gate 6, which was excellent. Around 1215, I left for the gate so that I would be able to board the plane early and get some unencumbered shots of Lufthansa’s new business class seat. Unfortunately, the boarding was on a remote gate and in-explicably there was no separate boarding for premium class/frequent flyer passengers versus economy class passengers. Flight #1 LH765 BOM-MUC 0107-0555 Seat: 8K(business, aisle)- new business class product Aircraft: Airbus A330-300 (2-2-2 business configuration), 90% full. Lufthansa new business class window seat. Photo by Vinay Bhaskara. I got onto the plane and managed to snap a few good shots of the business class seat before settling in. Immediately once we got into the air, the Lufthansa flight attendants immediately came around with hot towels, which were very useful given my state after running around Mumbai Airport. Following this, they came around with a drink service along with some nuts, which while delicious, weren’t served warm as they are in some other business classes. Still, a meal followed in which I had an excellent Asian vegetarian palate, though the highlight was definitely the apple raisin pie for dessert, as well as the excellent bread basket. A hot dessert might have been in order, though this is just nitpicking. Following this meal, I decided to check out the selection available in Lufthansa’s AVOD (Audio Video On Demand) in-flight entertainment system (IFE). Lufthansa new business class – seat controls. Photo by Vinay Bhaskara. 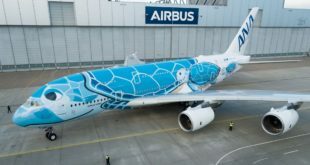 The content offering is sparse (especially in comparison to Singapore Airlines, Cathay Pacific, and even United). After some deliberation, I decided on the pilot for 2 Broke Girls on CBS (rapidly becoming one of my more favoured shows – for those that don’t know, I’m a TV savant – I regularly follow some 20-25 shows year round), followed by Battleship, an incredibly contrived big budget action film with gaping plot holes. Still, the impressive visuals from Battleship were pretty awesome on Lufthansa’s massive AVOD screen in the new business class. I decided to test out the full extent of Lufthansa’s new lie-flat product. And I have to say that the seat passed with flying colours. Lufthansa has this fantastic seat control system which allows you to adjust every single aspect of your seat, including the firmness, and it was pretty awesome for someone like me, who is a bit of a quirky sleeper. I slept like a baby and it was pretty much the best business class seat I’ve ever been in (out of 15 airlines) from a sleep perspective. I managed to squeeze in around 5 hours of sleep before waking up to an excellent breakfast service that finished around 30 minutes before our touchdown on-time in Munich. As a whole I would judge the new Lufthansa business class product as excellent. This is not to say that there are no flaws. The AVOD IFE content offering is a bit sparse, though this would be mitigated once Flynet (inflight WiFi) is available. Of course the use of your own devices over WiFi becomes less relevant if they run out of battery 3 hours in, so I think it’s critical for Lufthansa to add proper in-seat power outlets and really take Flynet to its full potential, perhaps using the hybrid outlets that accept both US and European plugs. Edit: A Lufthansa spokesperson informed me that Lufthansa does in fact offer vegetarian meals, so it must have been a communication error on my part that precluded me from getting a standard vegetarian meal. Lufthansa cabin crew. 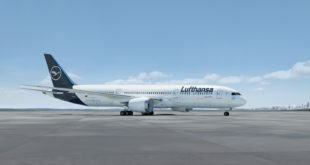 Image courtesy Deutsche Lufthansa. However, these short-comings are more than overcome by the incredible seat and something that I’ve grown to consider a huge Lufthansa asset; their cabin crew. On my last five to six Lufthansa long-haul flights, I’ve had great flight attendants in both economy and business class. I later found out from Devesh, that Lufthansa has been training its cabin crew with its partner, Singapore Airlines, which is famous for its “Singapore Girl” cabin crew. I observed the Lufthansa cabin crew always extremely professional and courteous, but they have this critical extra touch of care and attention. Throughout this trip, from Newark to Frankfurt to Bangalore and from Mumbai to Munich, what struck me was the care and attention the LH cabin crew devote to helping out elderly passengers with mundane in-flight stuff; like getting up to go to the bathroom, and dealing with wheelchairs and baggage post-flight; something we younger passengers take for granted. Kudos to Lufthansa’s flight attendants for their excellent service; like their counter-parts in Singapore Airlines, the cabin crew adds those critical extra touches to the overall experience, that makes the difference between good and great. So overall, I’d rate this a solid 8.5/10, falling behind because of the limited in-flight entertainment content and the limited amenity kit (though the kit bag itself was awesome), and limited food options, but these short-comings may not matter as much to the corporate traveller to whom, rest and service is critical, and there the new business class seat would get a rating of 12 out of 10 if it were possible, and the cabin crew a solid 9.5/10. 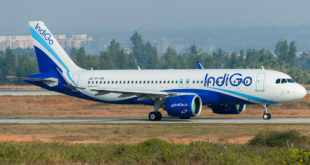 It is, by far, the best business class product offered ex-Bangalore today. All we can say in closing, competitors …….. look out. Editor’s note: Lufthansa commences its Bangalore Frankfurt Boeing 747-8i service later tonight. 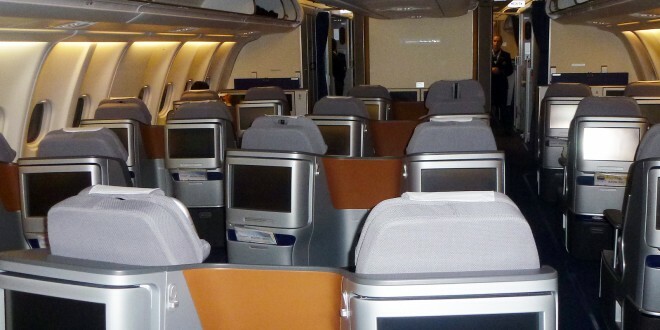 The business class reviewed is the same on Lufthansa’s A330-300 and Boeing 747-8i. Disclosure: The economy seat was paid for. 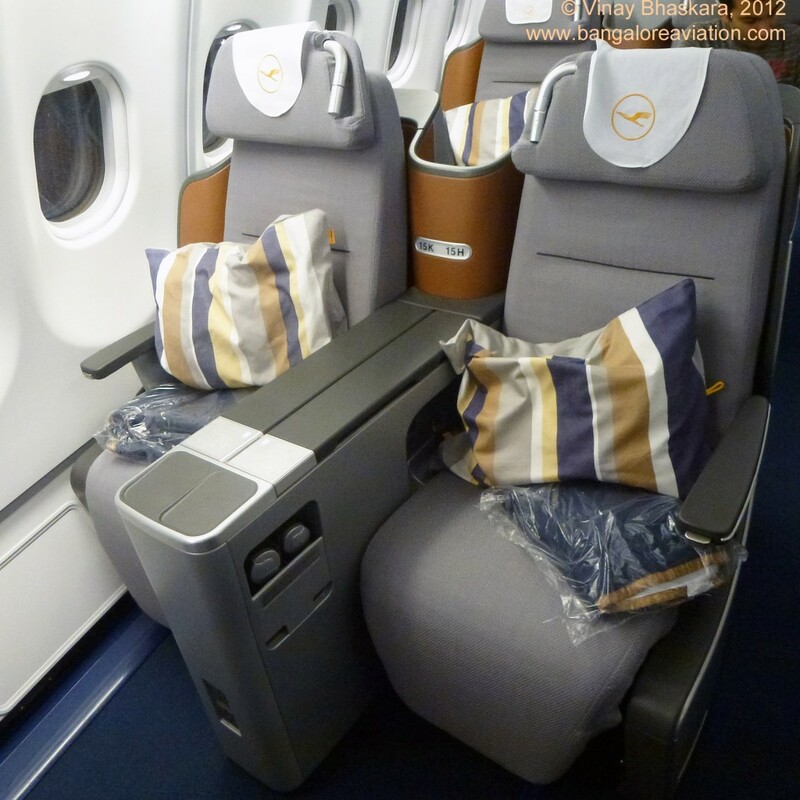 Lufthansa upgraded Vinay to the new business class on the Mumbai Munich sector. Lufthansa did not review the report prior to publication, and have not asked for any revisions. Our views remain our own.